Mr. Wiggle and Mr. Waggle is a very popular finger play with all of my students. This fingerplay works on fine motor skills using the thumbs as the characters that go in and out of their houses and up and the down the hills. It also provides a lot of pitch exploration as the voice goes up and down when the characters go up and down the hills. Did you know we have our own YouTube channel? Subscribe to it so you don't miss any videos. Cute story. I will have to try it with my 2 year old. She loves to sing and tell stories! New follower. Thanks for sharing. Thanks for reading Janine. Hope your little one enjoys the fingerplay. Have fun! Great video. I've never seen this finger play before so thanks for sharing it. 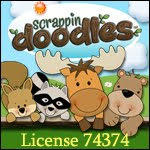 I think my boys will love it and it will be quite challenging for them as they are 2 and 4! If you get a chance this week, I'd love if you could come share over on the weekly blogger share at we teach! Thanks, Jackie. Your boys are the perfect age. I tell this story with little ones all the time and they love it. I will share it on the blogger share. I thought I had shared this one last week but I must have done something else. Thanks for the reminder! This is a great way to include my three year old in music. My oldest (4) is in the Junior Music Course through Yamaha, and my three year old always wants to participate. Awesome! 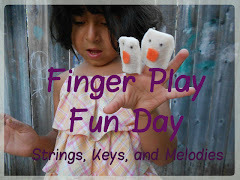 Children love singing with their family and this song/fingerplay is really fun for everyone. It makes everyone laugh! Thanks for reading, Allison.